Faculty of Organizational Sciences is one of the leading higher education institutions in the region with the tradition over 40 years. In the period of intensive changes it became leading education and research institution in the field of organizational sciences, management, informational systems and technologies. Faculty today has over 3500 students on 18 different study programs on undergraduate, graduate and postgraduate level of studies. 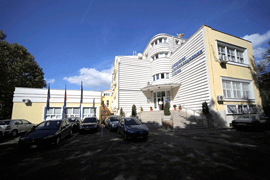 Faculty is in group of faculties of technology and engineering sciences of University of Belgrade. Faculty of Organizational Sciences is higher education institution, part of University of Belgrade, which deals with education, scientific research and consultancy through development of knowledge and skills in management, information system and technology with aim to enable future professionals to develop potentials of commerce and society.